Download and convert Pluralsight courses to local disk, smart phones, tablets or any other media devices to watch Pluralsight anytime and anywhere. How to download Pluralsight videos for offline viewing? How to watch Pluralsight content without internet connection? Is it possible to download complete courses from Pluralsight to hard drive? Plus subscription allows you to download 30 modules on mobile and tablet devices for offline viewing with Pluralsight APP which can be downloaded from the APP Store. However, if you would like to download IT and DEV courses from Pluralsight to playback offline on PC or batch download more than 30 modules, you have to find other Pluralsight downloader tools to help you download videos from Pluralsight in batch. 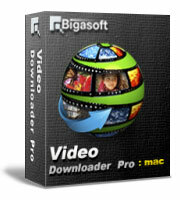 Bigasoft Video Downloader Pro is one of the top-ranked video downloaders for Windws and Mac users. 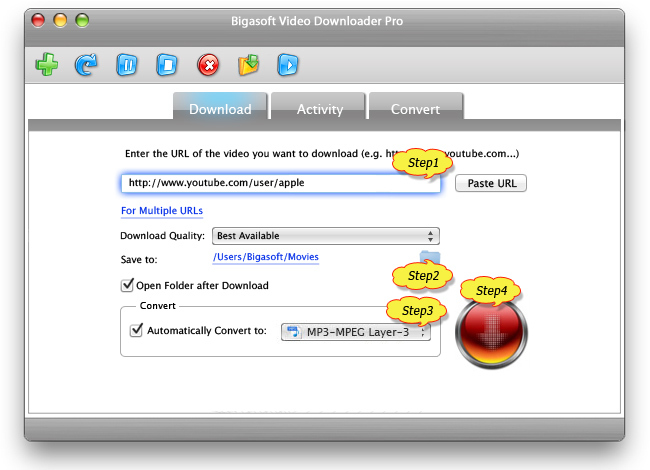 Besides downloading Pluralsight videos, Bigasoft Video Downloader Pro helps to download online videos from more than 100 video websites, including YouTube, Facebook, Udemy, Lynda, Livestream, Adobe TV, F4F sites, etc. What is more, you are able to choose your desired output video/audio format and it will convert the downloaded video automatically. Trying to capture live streamings? This powerful video downloader also helps to record live shows with its embedded video recorder tool. The following guide will show you how to download Pluralsight videos to playback on Windows or Mac, smart phones, tablets without internet connection. In order to able following the next steps, please free download and install this powerful Pluralsight downloader - Bigasoft Video Downloader which is totally safe and clean. There are two different versions for Windows and Mac users separately. And the two versions are fully compatible with the latest OS. Go to the Pluralsight video page and copy the URL of the video you wish to download. Then turn to the Download panel of Bigasoft Video downloader, and it will paste the copied URL of Pluralsight video to the URL box. In addition, if you want to download courses in batch, please click "For Multiple URLs" under the URL box and copy all the URLs into it. Click "Save Folder" button to choose the destination folder for the downloaded Pluralsight video. One-click to download Pluralsight videos. From Activity panel, you can check the downloading process. After a few minutes, the Pluralsight video will be downloaded and converted to destination path. If you prefer to capture live events, please open this guide to find "How to record streaming videos".